Have you ever wondered how some work groups exhibit effective teamwork and others remain dysfunctional for the life of the team? Effective teamwork is both profoundly simple and difficult at the same time. This is why so many teams struggle to get the relationships, the interaction, and the task execution right. Their success depends on these factors. No matter the team or its reason for existing, humans are in the mix, and each team member brings along all of their baggage�for good and for ill. So, diverse people with different life experiences, different work experiences, and varying degrees of success working with former teams and the accomplishment of prior team missions converge around a new mission. You can significantly increase the chances of the teams that you join or oversee to make needed contributions. Given appropriate support and nurture, teams can succeed beyond your wildest dreams. Don't let anything hold you back as you help your teams succeed. These ten tips describe the environment that must occur within the team for successful teamwork to take place. Successful teamwork is the cornerstone for creating a functioning, contributing team. The team understands the goals and is committed to attaining them. This clear direction and agreement on mission and purpose is essential for effective teamwork. Team members must have an overall mission that is agreed upon and that provides the umbrella for all that the team tries to do. This team clarity is reinforced when the organization has clear expectations for the team's work, goals, accountability, and outcomes. Team members have a strong sense of belonging to the group. They experience a deep commitment to the group�s decisions and actions. This sense of belonging is enhanced and reinforced when the team spends the time to develop team norms or relationship guidelines together. Creativity, innovation, and different viewpoints are expected and encouraged. Comments such as, "we already tried that and it didn't work" and "what a dumb idea" are not allowed or supported. The team members recognize that the strength in having a team is that every member brings diverseness to the effort to solve a problem, improve a process, reach a goal, or create something new and exciting. The team is able to constantly examine itself and continuously improve its processes, practices, and the interaction of team members. The team openly discusses team norms and what may be hindering its ability to move forward and progress in areas of effort, talent, and strategy. The team holds review meetings that assess the team's process and progress in approaching and accomplishing the team mission. Participate leadership is practiced in leading meetings, assigning tasks, recording decisions and commitments, assessing progress, holding team members accountable, and providing direction for the team. Members of the team make high quality decisions together and have the support and commitment of the group to carry out the decisions made. 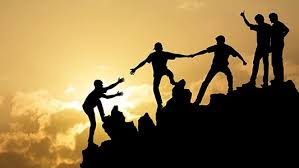 They also gain the support and commitment of the people they report to in order to accomplish and communicate the team's progress and success. If a team can get these ten factors right, success and a rewarding sense of teamwork will follow. It's not always the task at hand that challenges teams in their progress, it's the relationships and the little things that happen day-to-day. 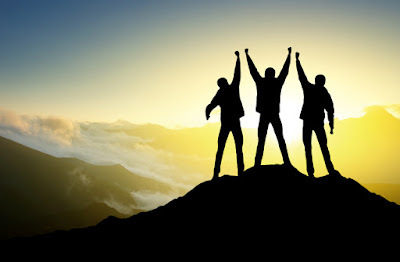 If team members can rise above the trench, they can achieve greatness. You know the success ingredients. Why not make them happen?